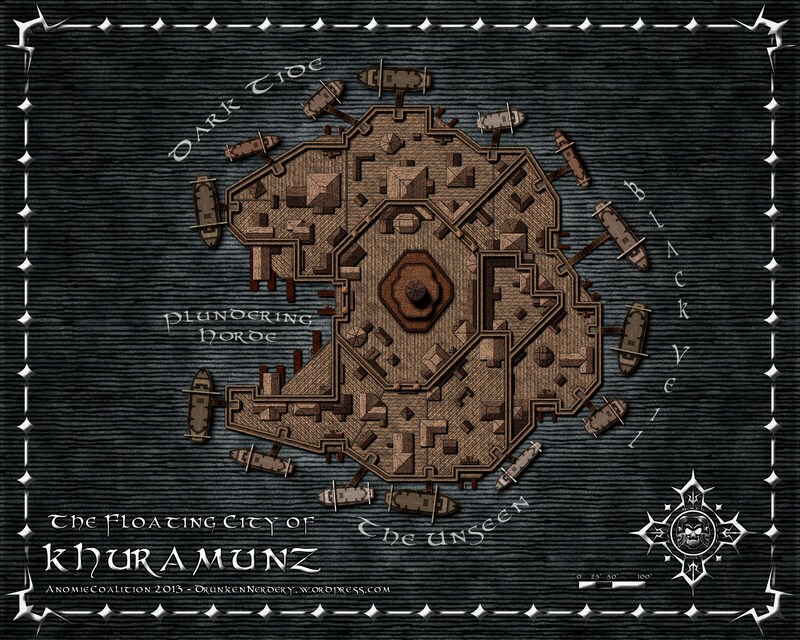 “The Floating City of Khuramunz” was my winning entry into the May/June 2013 Lite Challenge at the Cartographer’s Guild. (WIP Thread) The challenge was to map something with a nautical theme and I choose to create a small pirate city situated on a series of rafts out in the ocean. The “city” is home to the “Plundering Horde”, a mafia type pirate organization with several subgroups specializing in different activities and generally hanging out in different areas. The “Black Veil” is focused mainly on the bread and butter smuggling type activities and the slave trade. The “Dark Tide” is more of a smash and grab mercenary force. And the “Unseen” is a more clandestine group that intends to get in and out without anyone being the wiser. Categories: My World | Permalink. 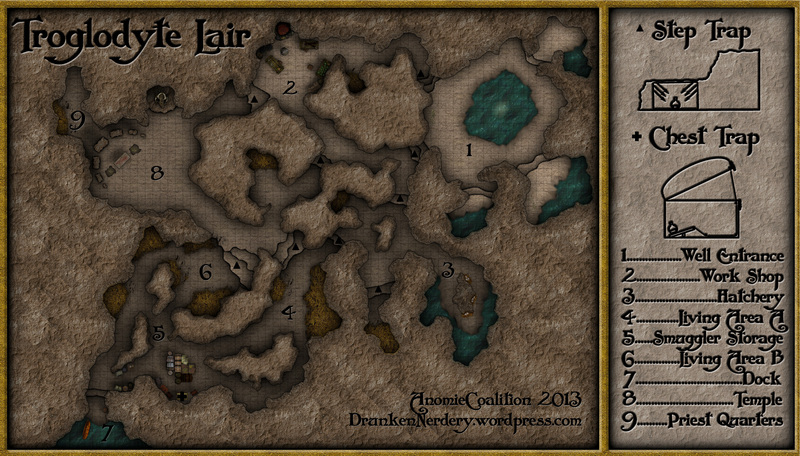 Made this map for the April/May 2013 Lite Challenge at the Cartographer’s Guild. It depicts a cavern that is situated beneath an inn on the outskirts of a small coastal fishing village. The cavern serves as an entry point for a smuggling operation and is protected by a small tribe of Troglodytes. There are actually 3 entry/exit points – The first is through a well on the surface which drops about 50 feet into a larger pool of water (top right of the map). The second is a small dock (bottom left of the map) where you would sail into an alcove on the side of the cliff. The 3rd is a secret stairwell that runs from the basement of the inn to the top right of the map (not sure how to actually depict that yet). Backstory – The cavern is an entry and storage point for a smuggling operation run by the Inn Keeper. He has found a way to manipulate the Trogs into protecting it and often disposes of meddling adventurers in the well (If all goes as planned – PCs would be drugged by the Inn Keeper and wake up falling into the dark cavern – they will need to fight/sneak their way through the lair to the safety of the dock). The Traps (depicted on the right pane) disperse Troglodyte “Musk” whose scent alerts others than enemies are about. The Step traps can be found throughout, while the Chest trap is situated with other cargo in the map and is used to alert the Trogs when smugglers besmirch their otherwise impeccable reputation for integrity by trying to steal loot…if you can’t trust a smuggler who can you trust? And here’s a version I made for a contest at the Profantasy Website. Categories: My World | Tags: Cave, CC3, Troglodyte | Permalink. 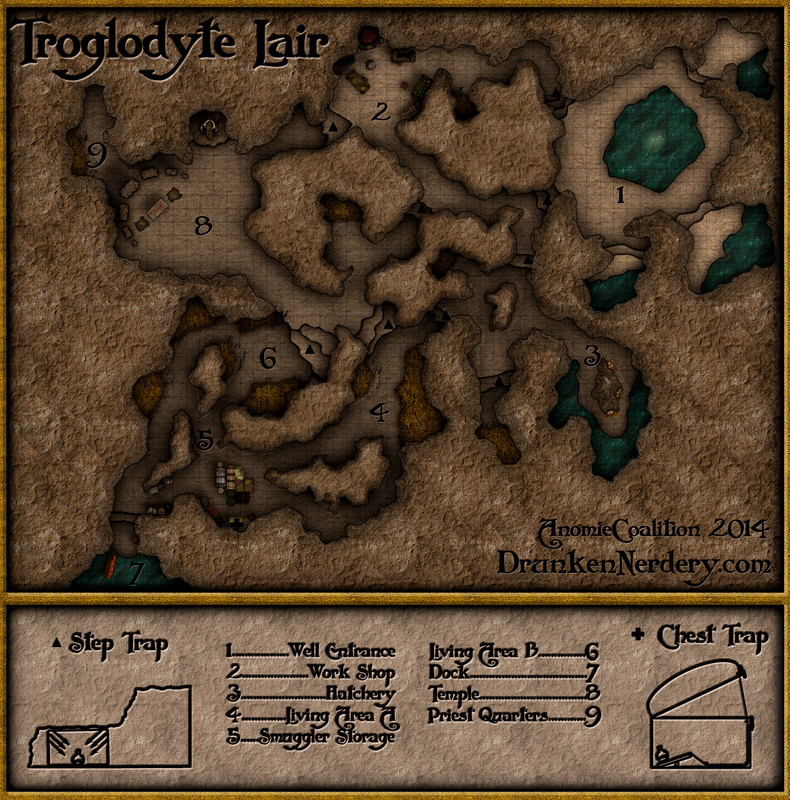 *Update* Profantasy has converted this map into a CC3 style as part of its annual updates. This map depicts an Orc dominated semi-arctic region of my homebrew world….more specifically, an Viking Orc society. I drew a lot of inspiration from maps of Scandinavia, Alaska, and Iceland in creating the landmass. It was created entirely in CC3 and features a variety of textures downloaded from the Dunjinni Forums and CGtextures.com. 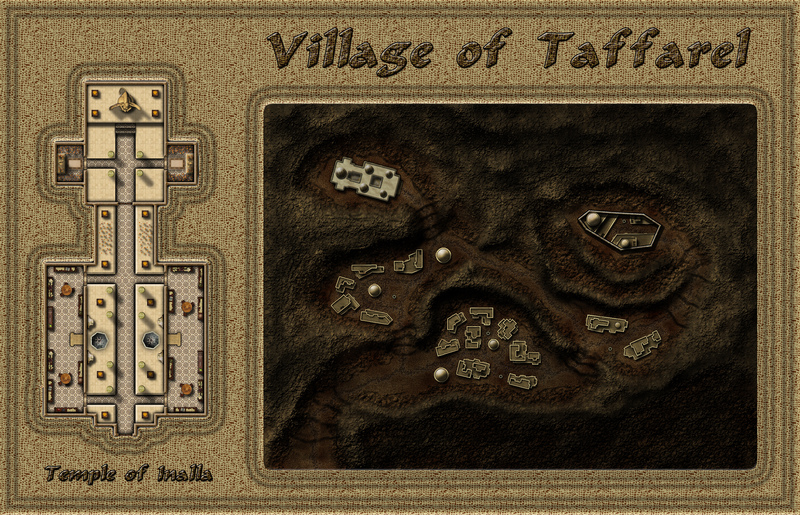 I’m calling this “tentatively done” because it really was just a side-track from my Al-Qadim campaign maps. One of the players wants to make a viking-type character (pillage and plunder gone wrong…shipwrecked in the desert…etc…) and I thought I would oblige them by creating a part of my world where they might originate. Although I’ve planned out some of this region, I haven’t had the time to work it all out…so much of the labeling will have to wait until I can come back to this. So, here is the back story so far…As I develop it further, I will add more labels and what not. The Orcs regard the caverns of the Vodgran Mountains as their ancestral homeland. The dwarves of the region beg to differ and were successful in driving the Orcs into the inhospitable arctic desert known as the Wastes. For centuries the Orcs have waged an unsuccessful war to reclaim the mountains. However, recognizing the difficulty of this endeavor, the Myrr Clan has instead called for a campaign of pillage and plunder in the more fertile regions south of the mountains. For most Orcs, giving up on their mountain home was considered sacrilege. The Myrrs were exiled. 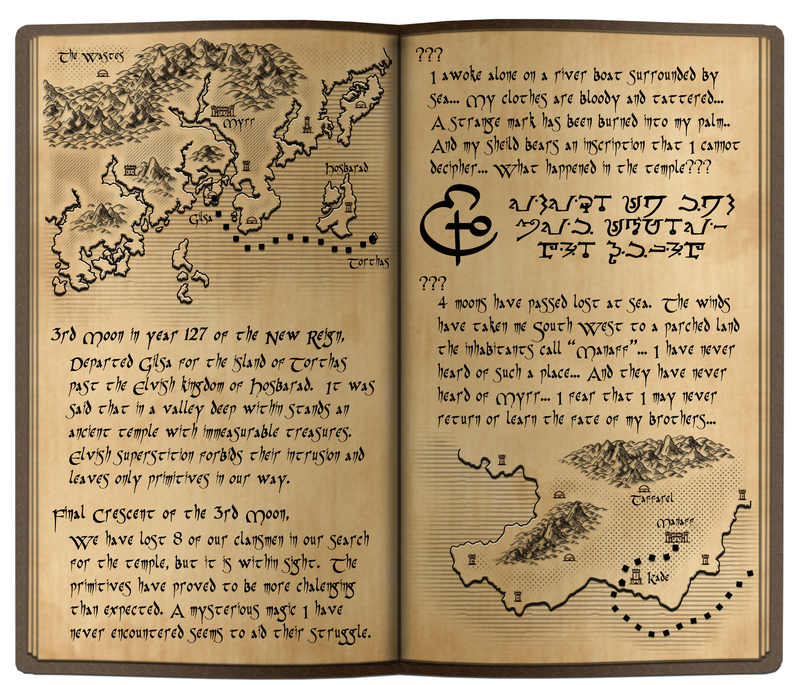 However, the Myrr were also successful and after many years were able to slowly but steadily claim territory that had been occupied by Humans, Dwarves, and Elves. Each victory brought new recruits from clans that were previously opposed to the Myrr. Although humans had traditionally enjoyed peaceful coexistence with Dwarves and Elves, the latter two could not resolve their historic differences to join forces against the Orcish campaign of pillage and plunder. Eventually, the Elves retreated to their island sanctuary of Hosbarad…here, their defenses have held up. The dwarves retreated to their underground mountain city of Dekhus. Unlike the more traditional orcish clans, the Myrr have no interest in reclaiming the mountains or expending the blood and treasure required to seize this well fortified dwarven city. All of the other villages, cities, and territories in the region have fallen under Myrr control. The Myrr government may be described as a military oligarchy/federation. Each conquered region becomes a part of the dominion but is locally ruled by the military leader who led the assault. They are given relatively free rein over the territory so long as they continue to pay tribute (treasure and soldiers) to the central government in their new capital city of Myrr. Those they conquer are allowed to repair their homes and live as second class citizens. However, to foster expansion, the central government allows anyone (from any race or social standing) to venture out, conquer new territory, and become governor of that territory in much the same way the Orcs do. Competition between clans is a natural by product of this policy, but although skirmishes happen from time to time, open conflict is violently put down by the central government. In the end, this policy has been a resounding success. By providing a means of increasing social status, the Myrr government has incentivized and promulgated their viking culture….and given the vast wild islands and territories in the region, there is no sign of it abating. *Gilsa is a small coastal community of fisherman where my player’s character will originate. Categories: My World | Tags: CC3 | Permalink.